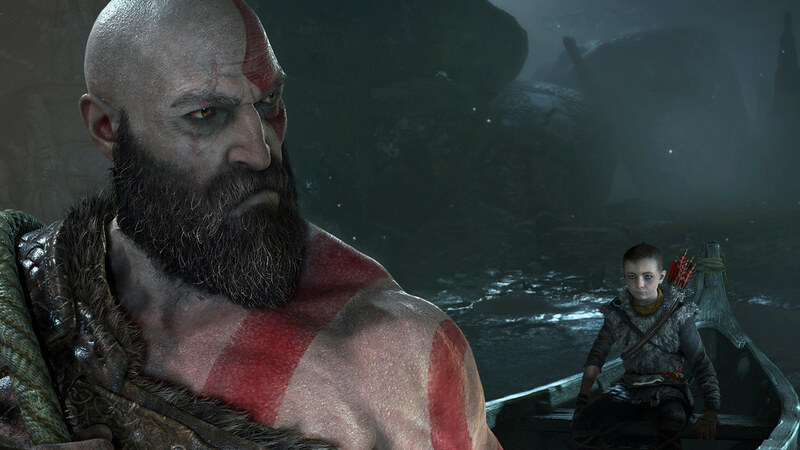 Composer Bear McCreary details the inspiration and execution of God of War's musical themes and motifs. The official soundtrack of God of War composed by Bear McCreary is available on Spotify, iTunes. It is also available on the PlayStation Store with an exclusive commentary track from Bear and Creative Director, Cory Barlog. 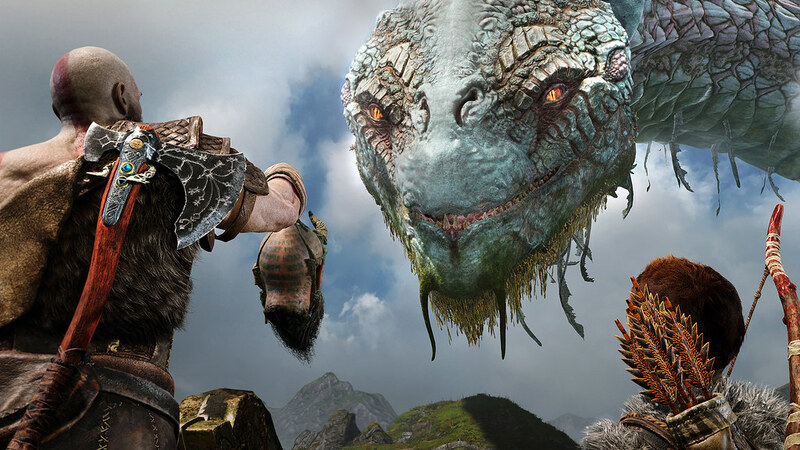 I find that themes in a score are an incredibly effective way to elicit an emotional response from an audience, and I felt strongly God of War would benefit from such an approach. I spent the first months of production in a liberated creative state, writing themes, free from the constraints of matching picture or satisfying gameplay requirements. This work resulted in a handful of essential themes that became the foundation of the score, four of which open the soundtrack album. After setting aside my melancholy first theme sketch, I composed a new theme for Kratos that would communicate vital, and often conflicting, character traits: strength and masculinity, wisdom and vulnerability. Bombastic, powerful instrumentation combines with beautiful melodies and harmonies to yield what I hope is a memorable and iconic theme that adapts and evolves to guide the player through Kratos’ emotional journey. Kratos’ strength and masculinity are musically represented by assertive brass, pounding percussion and deep male vocals. 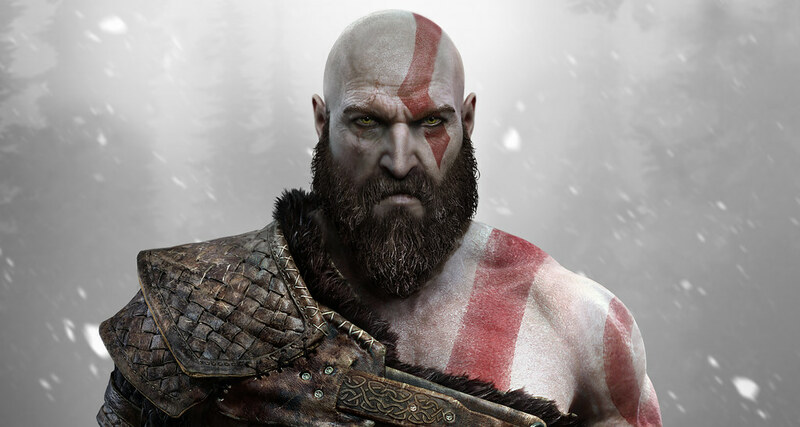 After all, Kratos is still the same character from the classic games, retaining all that rage and power, simmering beneath his aged, stern exterior. In this new iteration, Kratos, has matured considerably. He is older, wiser and vulnerable. To communicate this other side of his character, I included harmonic and melodic components that are beautiful, even soaring. This approach explores the deeper layers to Kratos that the new game present. Kratos’ Theme is layered, but not complex. In fact, it is arguably at its most effective in the span of only three notes. The first three notes of the melody (an ascending minor scale, for example C, D and Eb) play a pivotal role in the score, functioning both as the introduction to the melody, and a repeating pattern that motors through the entire game, becoming a foundation of the score. I used these three notes so consistently that I hope they achieve a shorthand with the audience, a Pavlovian response that instantly recalls all the other moments that were heard. This simple figure contorts and twists to match the game’s narrative needs, ranging from stern and ominous, to devastatingly longing, to sentimental and brittle, being presented by massive low brass, delicate solo harp, and everything in between. 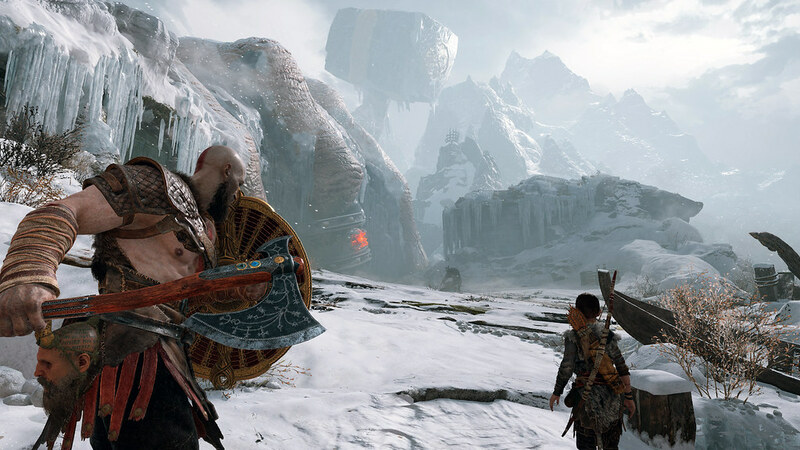 Whereas previous God of War games opened with action spectacle, the new game opens with an intimate and emotionally charged first hour, where Kratos burns the body of his recently deceased wife, and sets out on a journey with his son to spread her ashes from the highest peak in all the realms, per her dying wish. Though she never appears physically in the story, it was clear her presence would factor into the score. When I began composing her theme, I instinctually returned to my first prototype cues and dug up that abandoned draft of the Kratos Theme. Listening again, the melancholy waltz had not lost any impact since I had put it away nearly a year earlier. It felt as bittersweet and tragic as ever. I realized I had already written the Mother Theme! 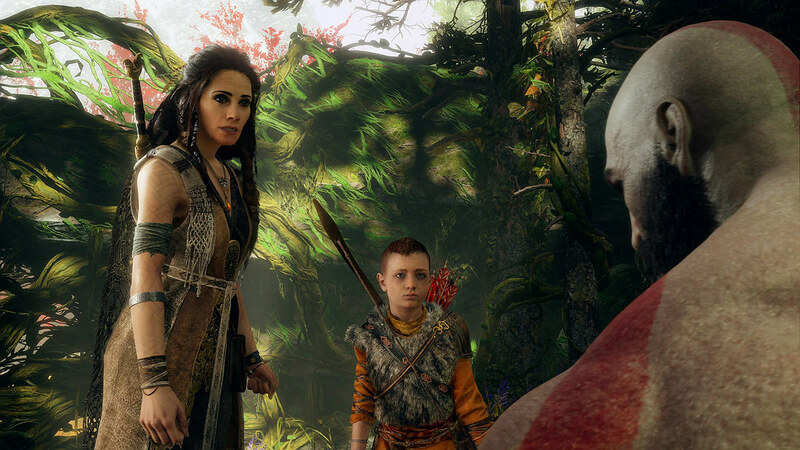 The influence of Atreus’ mother looms large over the relationship between Kratos and Atreus. Giving her a memorable musical theme could theoretically supply her a musical voice to reinforce her narrative influence. 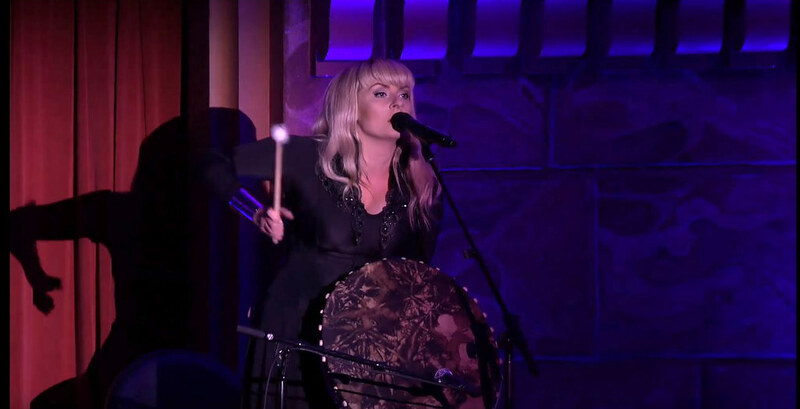 Inspired by the notion of giving her a voice, I frequently featured her theme with female choir, and for even more impact, in the stirring voice of Faroese singer Eivør Pálsdóttir. Eivør brought a personal depth and humanity to my score, and in many ways became the voice of Atreus’ mother herself – an ethereal angel driving our protagonists forward. I was thrilled with the vast dynamic and emotional range her singing voice provided: from high, angelic tones to deep, guttural, percussive bursts. I was introduced to her music through a recommendation from Sony music producers Pete Scaturro and Keith Leary. We listened to her clips online and realized right away we had to reach out to her. Thankfully, she was generous with her time and energy, and became an integral part of what makes this score special. When Cory Barlog first told me this epic tale, “Memories of Mother” was the melody that immediately sprang forth from my imagination. It was, in essence, my first impression of God of War. Though the tune ended up not being the main theme, it is arguably more important to the story. Along their journey, Kratos and Atreus encounter a mysterious woman, known as the Witch of the Woods, a character who plays an important role in the narrative. The witch is an intriguing character, and I wanted to lace her theme with elements of mystery, even danger. The primary instrument for her melody is a renaissance and baroque instrument called a viola da gamba, an ancestor of the modern cello. The witch lives deep in the woods, and her visual aesthetic draws from nature. I represented this connection to the forest by framing her melody with colors evoking nature. A pair of Celtic harps merge to form a rapid network of arpeggios, dripping like rain drops down spider silk. This texture is punctured by freely performed log drums, claves, sticks, and other wooden percussion. These sounds rattle gently like chimes in the breeze, connecting them to nature. This theme is unique because it represents not a specific character, but a race or even a realm. As our story begins, the giants have long since been lost, but Cory and I wanted the audience to feel their memory lingering in the air. I wrote this beautiful lullaby, imagining it was a folk song that the giants sang in the ancient past, a song that still reverberates through ruins. The melody is performed gently by a male choir in their low register, accompanied by the sporadic chimes of ceremonial bells and bowls. The Giants Theme plays a crucial role in “The Stone Mason,” a section of the game that takes place around the body of a fallen giant. For this intense combat variation of the theme, I scaled up the ceremonial bells to create a gargantuan blast that opens and closes the track. This explosive sound is built from layered bells and chimes, Alpine horns, and shofars, that have been digitally manipulated to lower their pitch and increase their mass. The sound is reverberant, medieval and intimidating. The narrative jumps into high gear when Kratos is visited by a mysterious character known initially as The Stranger. This character evolves into the story’s primary antagonist, and his scenes are underscored with his theme. The Stranger is a threat because he is fast, and immune to pain. Inspired by the character’s wiry build, I wrote a theme that was nimble, quick, and capable of rapid harmonic and melodic pivots. The harmonic structure jumps between distantly related minor chords (Ebm, Cm, Gm and Bm) as a boxer hops back and forth on two feet, and the melody doubles back on itself, repeating similar figures, but tweaking them to sustain tension. The harmonic language subconsciously heightens the weirdness and tension. These qualities, inspired by the character’s physicality, give the Stranger Theme a frantic energy. The Stranger’s instrumentation evolves alongside his narrative importance. At first, his theme is played by a scratchy Hardanger fiddle, above a backdrop of chugging nycklharpa and hammered dulcimers. As the game progresses, and his menace increases, his theme graduates up to bigger and bigger orchestral phrases, ultimately arriving at a blasting fanfare in brass and choir. Other important themes are woven into the score, though they make fewer appearances. 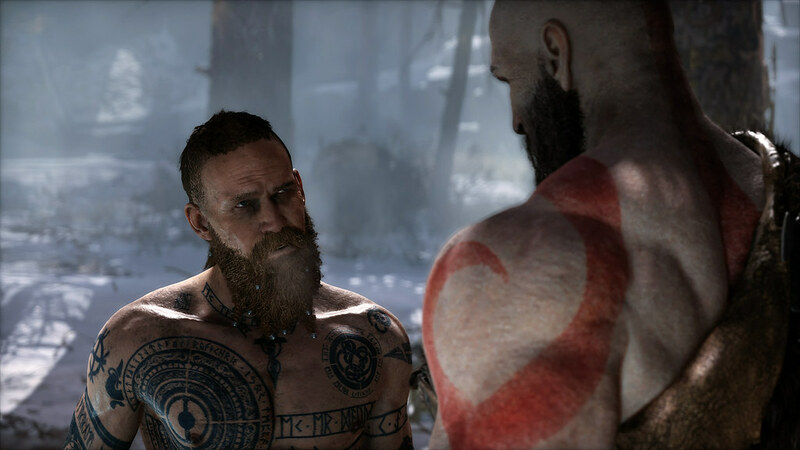 Though Kratos begins his journey with only Atreus by his side, he eventually picks up another traveling companion, Mimir. In addition to providing vital narrative exposition and mythological context, his quirky personality also lightens the game’s tone. I wanted Mimir’s theme to feel slightly comedic, a mood I achieved by imagining it performed by a troupe of wandering Renaissance minstrels. A frame drum and dulcimer provide a jaunty backdrop to the main melody, performed playfully on viola da gamba. These Renaissance instruments are framed by low woodwind chorales moving in parallel motion. Something about the combination of contrabassoons, contrabass clarinets and a viola da gamba is inherently charming. Besides, how could I resist writing a theme for a severed wise-cracking head? I wrote a single theme for these two characters, built on an energetic 9/4 groove. The meter breaks down to a bar of 5/4 followed by a bar of 4/4, which gives the aggressive percussion a fun, off-kilter limp. In addition to this rhythmic asymmetry, the Magni and Modi Theme is also heightened by being harmonically schizophrenic, living mostly in E minor with an unexpected G# in the melody, kicking it momentarily into E major. I wrote for the Valkyries a theme that is elegant, airy and exciting. Inspired by Nordic folk ballads, this chorale is introduced in breathy tones by a female choir against a backdrop of massively reverberated vocal clusters. This melody undergoes increasingly muscular variations, building up to a huge, driving orchestral fanfare. There is a final significant character theme, and it is only heard once. This theme can be found in the final track on the soundtrack album, “Epilogue,” blasting in fanfare from a full choir and huge brass section. Anyone who gets to the game’s true conclusion will understand its thematic meaning. That’s all I’ll say about it at this point! To read about my complete journey, please check out my full blog entry at my official site. I absolutely love this post! I feel so rewarded when I get to hear a composer’s thoughts on how he created themes for a score. Loving this game more and more. Nice. Honestly could only hear a few songs while actually playing the game (music was too low vs everything else IMO), so it will be nice to be able to listen to them purely. This is a really cool blog post. Thank you for sharing your thoughts on the composition process! I must confess, I have not really been familiar with Bear McCreary’s work. That has changed with God of War, and now seemingly instantly he has put himself into a list of some of the greats. The score was incredible and was just the right touch for this game which will no doubt stand the test of time. Looking forward to what comes next from Mr. McCreary.